It’s that time of year for me to select my word for the One Little Word workshop with Ali Edwards. Each year I choose a word that I want to keep present in my life throughout the year and then I participate in the monthly prompts she provides. I am not always successful at completing the prompts but I really enjoy the check-in videos she provides because life sometimes swallows me up and I lose sight of my word so her monthly videos pull me back to focus. In years past, I have always had a rather easy time choosing my word. This past Sunday, I was making my tea and thinking, wow, where is my word? I don’t have one. It’s already a week into January. Then I sat down to watch an old episode of Super Soul Sunday (SSS) with Oprah and her guest was the author (William P. Young) of the book, “The Shack” (which has also been made into a movie). I always take notes when I watch SSS and this episode was no different. But at one point he made a statement that pulled me right in. He said, “I think the process of transformation is not about becoming something that we weren’t. It’s about unveiling what we were the whole time.” And he said: “Allow yourself to fall into trust.” I had to pause the show (yes, I DVR all the episodes) because I immediately knew the word, “trust” would be my 2018 OLW. Now I can go listen to the first video prompt. I will try to share some of the exercises as I complete them. Some are journaling some are more art-based exercises. I hope to do better this year with the prompts and sharing my journey on this blog. Have a blessed day my friends! Hello everyone today I thought I would share with you one of the projects I’ll be working on throughout this year. The project is called One Little Word and if you followed me on this website you already know a little bit about this project so some of this will be a bit of a repeat. But for those of you that are new, let me just give you a little brief synopsis. 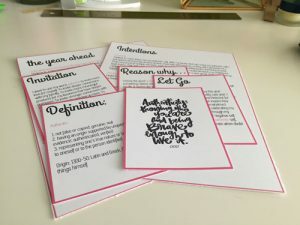 Ali Edwards, a well-known paper crafter extraordinaire for many many years now has a website where she shares her home life, crafty projects, a storefront to sell her products and online workshops. 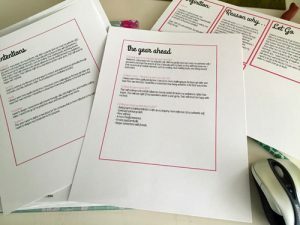 I have followed her throughout her journey from way back when there used to be Creating Keepsakes Magazine where she used to write a monthly feature. Since then she has evolved into more of an online presence. Back to OLW, well each year she hosts a class/workshop to encourage people to select one word that they will keep with them for the whole year and work through that word to bring about change in their life. I’ve been participating in this workshop for several years. Some years I’m successful and make it through a good portion of the monthly prompts and others … not so much. Each month she provides a video prompt with either a creative or writing exercise to keep your word in the forefront. One thing that I’ve learned is that I usually end up beating myself up at the end of the year because I didn’t complete each of her monthly prompts. This year I’m gonna let go of that expectation and see what happens. If I miss a few months the world won’t come to an end. As usual, I will attempt to bring you along on the journey with me in hopes to inspire you to potentially pick a word for yourself or just to allow you to see how it works out for me. For January, I needed to select a word and work through some worksheets. The first exercise gives you an opportunity to define the word and to think about areas in your life that you would like the word to impact. I’m continuing to use the same album that I use last year because I feel like there’s no need to buy a whole new album him to complete the prompts some of the props are in a writing prompt some of them are creative. 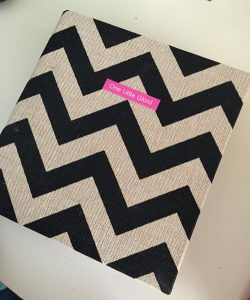 I’m continuing to use the same album that I used last year because I feel like there’s no need to buy a whole new album when there is plenty of room and I really liked working in this size album. The word that I selected for this year is ‘authentic’. I chose the word authentic because I feel it is something I dance around from time to time in my life. It seems like an easy thing to be, yourself, but so many things influence the way we present ourselves. From the desire to be perceived in a wonderful way to habits we create for ourselves based on our experiences. I want to explore how I can become more authentic in all areas of my life and witness my life bloom from this shift. I used my Silhouette again to design my own cards to complete this months’ prompts. I have been doing pretty good this month putting my word in the forefront of my mind.I’ll be back next month to reflect on my progress and share my February prompts. For the past few years, I have been participating in the One Little Word class/movement with Ali Edwards. Each year, the experience of finding a word is different. Some years, the word repeatedly knocks me in the head and I know just what to choose. Other years, I have to really look for it. This year, was more of the latter. I had to really reflect on my life and choose a word that aligns with my hopes. I usually panic as I approach late December, because I begin to doubt the word is mine a few days into my decision. This time, I began to feel doubt knocking on my door and I decided to use Leao as a sounding board. I expressed to him what some of my hopes are for this year and the word I wanted to choose. He helped me realize that the word I chose is, in fact, a good fit for me. I recently was listening to a podcast and one of the participants talked a bit about their experience with their word and I realized that although we select one word, we don’t have to say goodbye to last year’s word or the year prior etc. That they all are still with us and still relevant. So this takes away that feeling that sometimes settles over me when I am selecting a new word. It reminds me that the old words still have a place in my life and that only my shift of focus will illuminate my new word for the new year. I chose this word because I feel like it will help me with areas that are lacking in my life. 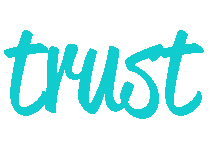 I feel like inviting this word will help me to continue to make my life more whole and satisfying. I feel it will help to guide my shift of perceptions towards true hope. I felt like this word easily translates over the many aspects of my life to help me a better being and 2016 more wonderful. I hope you will join me on this journey. I will be posting my new album for the project next week so come on back!! Four months into the year and my process of working with my OLW has been as I expected has had it’s ups and downs. I will write a post with a review of all of my goals with updates at six months. But I would like to keep you up on what things I am doing from time to time on individual goals to keep my word, Connect, alive for me throughout the year. One of my big goals is to Connect with my body and work towards total wellness. Beginning next Monday, I will be starting a 21-day Clean Gut Cleanse program. I have only done one other detox program about 2 years ago and I didn’t like how it made me feel. I felt sluggish. I am choosing a different approach this time around where I have been reading up on different cleanses and learning a great deal about the body and digestion. I chose Dr. Junger’s cleanse program because I feel confident that it has sound principles and medical knowledge to help me on my path towards total wellness. This week, I am preparing by reading, organizing recipes and will write grocery lists to ensure that I have on hand what I need to avoid cheating. 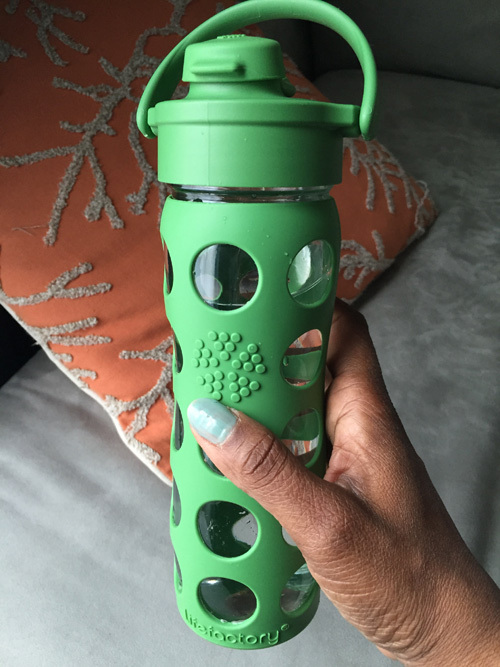 Today I went and bought a LifeFactory water bottle as a little gift to myself before embarking on this journey. It’s glass so no worries of BPA, BPS, PVC or phthalates in the glass like many of the plastic water counterparts which can get into the water as you drink it. I can throw this bottle after taking off the cover into the dishwasher to wash it and the flip top doesn’t require me to fret about a straw getting dirty. I figure the more people I tell, the more likely I will stick to this cleanse to see the results. I will also try to share recipes and tips.